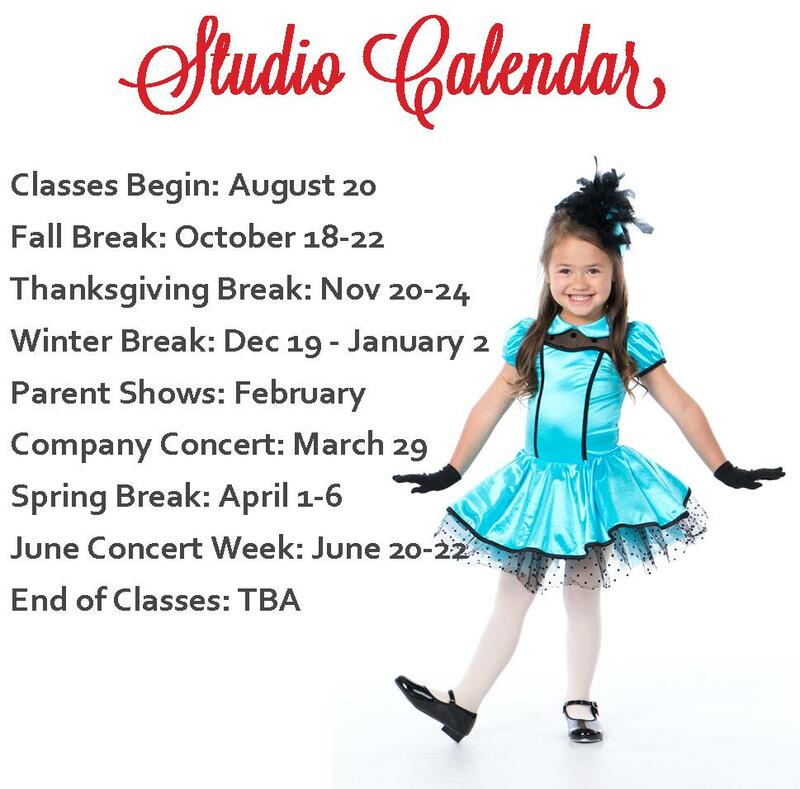 Kaya, born and raised in Orem, Utah received most of her early dance training at Wasatch Ballet Conservatory under the direction of her mother, Allison Wolsey. She then attended the University of Utah, where she received a B.F.A. in Ballet with a Performance Emphasis. While pursuing her undergraduate degree, she was a member of Utah Ballet, the resident ballet company at the University. This awarded her the opportunity to perform many soloist and demi soloist roles in both classical and contemporary works. Performance highlights include featured dancer in renowned choreographer Ma Cong’s Passion,There and soloist in two original works by Dr. Jung Sik Roh of Roh Dance Project in Seoul, Korea. Kaya also trained with San Francisco Conservatory of Dance, Northwest Dance Project LAUNCH, Moxie Contemporary Ballet, Pacific Northwest Ballet and Ballet West. Post college, Kaya moved to Texas to dance with Ballet San Antonio as a Corps de Ballet member. During her career, Kaya has had the pleasure of working with and performing works by renowned choreographers such as Marina Mascarell, Drew Jacoby, Gustavo Ramirez-Sansano, Alex Ketly, Banning Bouldin, Brendan Duggan, Gabrielle Lamb, Katie Scherman, Ching Ching Wong, Joni McDonald and Lindsey Matheis. Kaya joined SALT 2 in 2016 and was promoted to an Apprentice in 2017 and a SALT company member in 2018. Aside from her performance resume, Kaya has 10 years of extensive teaching experience in Ballet, Contemporary, Conditioning and Improv to many different levels and ages of dancers. She loves creating an open and hardworking environment that allows dancers to grow and thrive. Kaya is also certified in Progressing Ballet Technique. Lindsay started dancing when she was three years old and has loved dancing and performing ever since. Growing up, she studied Ballet, Jazz, and Contemporary with additional training in Tap, Hip Hop, Modern, and various other styles. She is currently attending UVU, working on a degree in dance with an emphasis in ballet. At UVU she has danced and performed with various classes and companies. Through her university studies she has learned so much about dance as well as physical and mental health, which she loves to share with her students. Lindsay’s biggest dance passion is teaching. She loves informing and inspiring students through dance as well as teaching students how to appreciate and care for their bodies. In her free time, Lindsay likes to explore nature and travel with her husband. Andrea Kirk is an artist and illustrator who has always had a passion for the arts. She specializes in oils, painting portraiture, large wall murals, fantasy art, landscapes, animals, etc. She has studied art throughout her life, receiving the "Sterling Scholar Award" for art at Spanish Fork High School, and graduating with High Honors. She then furthered her education by pursuing her studies through scholarship at Utah Valley University. She has illustrated three published children's books: "No One is More Wonderful Than You Are" by Nita Epoc, as well as, "Santa's New Job" and "Beating the Bully", by Michael J. McLelland. Along with illustrating Children's books, Andrea has completed several commissioned jobs painting portraiture and large wall murals for clients. She has also taught private lessons to hundreds of children of all ages, over the past 15 years. Many of her students have also pursued art, receiving multiple awards in the Reflections Program and local art shows, as well as winning the "Sterling Scholar Award" for art. Angel was born in Cordoba Argentina in the early 70s and began his dance studies at the age of 5. At the age of 16, he graduated with honors from the National School of Arts in Buenos Aires, Argentina. He was awarded a dance diploma from Colon Theatre's The Advanced Art's Institute in Argentina. He has been taught by greats such as Jorge Tomin, Irupe Pereyra Parodi, Olga Ferri, Enrrique Lommi, Lydia Segnni, Liliana Belfiore, and Manolita Suarez Herrera. Angel won Danzamerica's Cooper Award (1990) and Gold Award (1996), the Jose Neglia Award from the Cultural Foundation of Buenos Aires (1993), and he also received a Ballet Teaching Certificate from the National University of Cordoba, Argentina (1994). During the 90s, he performed with different companies around the world in productions such as Swan Lake and Giselle as well as many other productions. He performed at the Julio Bocca Ballet Company (Ballet Argentino) under the direction of Lydia Segnni, on the production of Paquita, Don Quixote, Swan Lake, Manuel de Falla's Songs, and Che Tango. Angel has lived in Utah since 2000, receiving a degree in accounting from BYU. He is excited to share his talents with a new generation of dancers and make teaching ballet his full-time career. Michaela Marie Pickett began her dance training at the age of 6 at Los Angeles Ballet Academy in Encino, CA. During her 12 years at LABA, she studied ballet under the Royal Academy of Dance (RAD) method, passing all of her exams with Distinction, in addition to training in a variety of jazz and contemporary dance styles. Michaela went on to attend Chapman University in Orange, CA, where she received a Bachelor of the Arts in Dance Performance Major and Nutrition Minor. She not only continued her ballet, jazz, and contemporary training while at Chapman, but also began to heavily train in various classical and contemporary modern dance techniques. Michaela has studied under many world-renowned teachers and choreographers, and has attended an array of summer intensives, including but not limited to: American Academy of Ballet (Westchester, NY), School of American Ballet (New York, NY), Royal Ballet School (London, England), and Hubbard Street Dance Chicago (Chicago, IL). In the span of her professional career, Michaela has danced as Company Member with Sean Greene’s Shield Wall and JESSICA KONDRATH | THE MOVEMENT, both based in Los Angeles, CA - and has also taken part in commercial dance work in the LA area. Michaela is now living in Salt Lake City, UT and dancing as Company Member with SALT Contemporary Dance II. In addition to pursuing a professional dance career of her own and serving as Creative Assistant for Francisco Gella Dance Works, Michaela possesses an immense passion for teaching dance. She has taught at The Art of Dance and Ballet Academy in Placentia, CA and quite heavily at Los Angeles Ballet Academy in Encino, CA. She is currently teaching at Creative Arts Academy in Bountiful, UT and is so thrilled to now be joining the teaching faculty at Wasatch Ballet Conservatory. Deborah was born in Mexico City and graduated from Royal Academy of Dance, London in classical ballet. Her professional performing experience includes the National Ballet of Cuba, Metropolitan Dance Company in Mexico City, special guest dancer with Luxembourg Ballet and San Diego City Ballet. During her professional career she performed classical and contemporary works, including La Bayadere, Swan Lake, Giselle, Nutcracker, Paquita, La Fille Mal Gardee, Coppelia, Rubies and Serenade. After her second baby (the incredible Isabella, joining the equally talented Marcielo) she decided to transition from dancing professionally to become Pilates Certified and to coach Rhythmic Gymnastics. 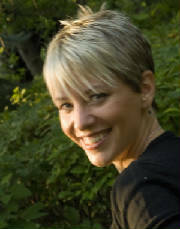 Debi will be joining our WBC faculty to teach Ballet and Flexibility Training. Justine Sheedy-Kramer received her BFA and MFA degrees from the University of Utah Ballet Department, with emphases in Teaching, Choreography, Performance, and Character Dance. 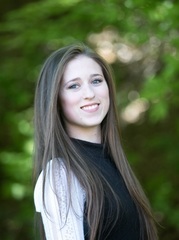 She also studied and performed with Pacific Northwest Ballet School, Washington Academy of Performing Arts, Burklyn Ballet Theatre, Utah Contemporary Ballet, Exit 12 Dance Company, Ballet Theatre Company, and CONNetic Dance. Justine toured nationally and internationally with Character Dance Ensemble and Eastern Artists, including performances as both a dancer and choreographer in Beijing, London, Los Angeles, New York City, St. Petersburg, and Vancouver. 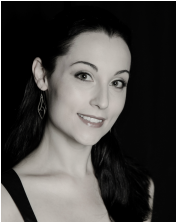 Justine currently teaches Ballet, Pointe, Character Dance, Senior Capstone, and Music for Ballet Dancers at Utah Valley University. 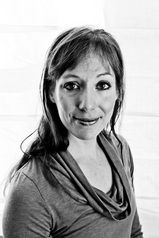 Her variety of teaching and choreographic experience includes staging the full-length productions of Coppélia and Don Quixote for Saint Mary’s Hall; establishing collaborative projects between the Department of Ballet and School of Music at the University of Utah; and partnering with the Turnaround Arts initiative as part of the President’s Committee on the Arts & the Humanities. A Provo, Utah native, Chanel Smith received her BA in dance with a minor in molecular biology from Brigham Young University in 2010. Upon graduation Smith completed her certification as Laban/Bartenieff Movement Analyst (CLMA) through the Integrated Movement Studies (IMS) program and graduated from Hollins University with a Post Baccalaureate Certificate (PBC) in dance. With her training in classical ballet and work as CLMA, Smith served as Ballet Director at Halestone Dance Studio from 2011-2014 to create an integrated curriculum of ballet study, somatic principles and Laban theory. In 2015, Smith partnered with Company | E to begin a youth dance program, The Company | E Movement Center, in Washington DC. Smith served as Studio Managing Director of the Movement Center. In 2017, Smith Directed the Movement Center youth studio program in its main stage performance of the Jungle Book at the Kennedy Center in collaboration with the professional division of the Company | E. As a performing artist, Smith has performed with many Washington D.C. dance and theater companies including Company | E, Synetic Theater, fusiondance, Dissonance Dance Theater, K.G. Dance and UnevenLane.